About a week ago I met with a small business owner that was very unhappy with their Search Engine Optimization team for a variety of reasons, from design to customer service. She had hired them to design her new site, almost a year ago, but only hired their SEO services about 5 weeks prior to our conversation. The most important thing she mentioned was that they had produced zero sales since her SEO campaign started. Obviously, it is the SEO professional’s responsibility to create appropriate expectations. (Or to properly train the sales people to do so – but that’s another post). A client that is used to any other media, such as print, radio, or TV, is used to seeing results shortly after having a campaign go “live”. That is clearly not the case with SEO. Or PPC, to a lesser extent. However, determining that “appropriate expectation” is a task for the SEO professional AND the client. It involves picking appropriate keywords, studying the market, and knowing the product. I wont go over market research for SEO on this post, but here are the 3 ways you can keep tabs of your SEO team and help them bring you more sales. Is the SEO team supposed to optimize for your brand’s name? That is usually a bad time allocation of your precious SEO budget. Unless your company name happens to match your biggest keyword, for example, your company name is “New York City Graphic Design“, you shouldnt allow them to focus on branded terms. What’s your biggest revenue center OR area that needs improvement? Focusing on your biggest money maker, if you dont already rank for such product/service, is a sure way to guarantee a quick Return On Investment because you can attribute any increase to your SEO efforts. The same applies to that area that needs improvement; if you have a product that you have good profit margin on, but that nobody knows you carry, have your team optimize for it. Based on the keywords you picked on step #1, your SEO team needs to be able to asses the industry and give you a realistic estimate. Factors that influence that estimate include the AGE of your domain, how wide the keyword is (for example – “new york graphic design” is a very competitive term, but “Passaic graphic design” isnt), and how aggressive (read – how big your budget is) the team’s link-building strategy is. 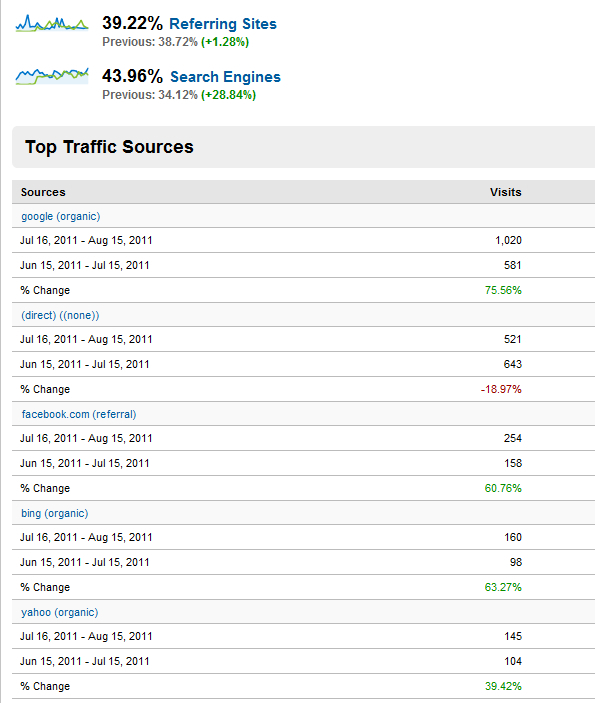 On a brand new site, rankings will fluctuate VERY heavily during the first 6 months. For older sites, a few tweaks on a not-so-competitive industry can improve your ranking within a couple weeks. Get an honest answer out of your team and set your expectations accordingly. Ultimately, in the very first weeks and months you need to see SOME improvement. While it may take a while to build enough traffic to make your first organically-generated sales, measuring your site’s organic traffic is the best way to hold your Search Engine Professional’s feet to the fire. When I told that owner about these little steps, it all made sense to her. She was, of course, upset the team didnt ASK her to go over these details nor did they show her how to access Analytics, but she was also demotivated by all the “extra work”. Small business owners are extremely cautious with their time and have enough hats to wear already, she said. But checking analytics is something you can do ONCE A WEEK, or even once a MONTH. It’ll take a total of 5 minutes to go in and pull the organic traffic comparison you see on this page, and it will help make ANY SEO-related decision. Have you tried that? As an owner, do you check your analytics? Does your SEO team send you reports? Let us know in the comments. 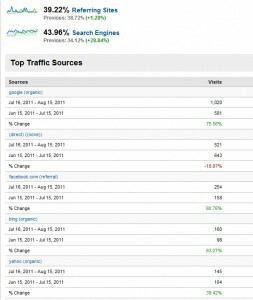 I have my website http://www.EasyUnlocks.com and I want to keep track of my SEO progress because I hired a company. I am looking for a tool that shows me weekly how many backlinks, articles, posts, etc. have been created. Is this possible? Hello greetings from Spain a blog with great information felifidadas. Thanks for sharing this very information on tracking organic conversions.